On June 23, Russia launched a Soyuz-2-1v rocket from the Plesetsk space center (Plesetsk Cosmodrome) in the country’s northwest Arctic region. The light-weight Soyuz spacecraft reportedly carried a Russian Defense Ministry orbiting satellite called Kosmos 2519, but typically closed-mouth Kremlin officials have yet to publicly reveal the purpose of this mission or any specific details about it. Nor is it apparently clear where the satellite is heading for its final orbit, although U.S. military trackers spotted the rocket’s upper stage at 410 miles above Earth after the launch. While information is still classified and may permanently be so, there is some conjecture that this satellite is the first in a series of 14F150 Napryazhenie geodetic satellites “designed to make accurate measurements of Earth’s shape and gravitational field,” the Daily Mail noted. The Napryazhenie program, which may be part of Russia’s Nivelir-ZU project, could have a purpose that goes beyond benign scientific data collection or communications purposes, the RussianSpaceWeb portal suggested. Geodetic satellites are designed to serve as precise reference points needed for accurate measurements of the Earth’s shape and the properties of its gravitational field. In military applications, the geodetic information can help in the development of highly accurate geodetic coordinate systems which could be used for guidance of long-range ballistic missiles. Nivelir means “level” in Russian. NASASpaceflight.com offered a similar assessment of what Russia might have in mind with the latest Soyuz launch and its satellite cargo. 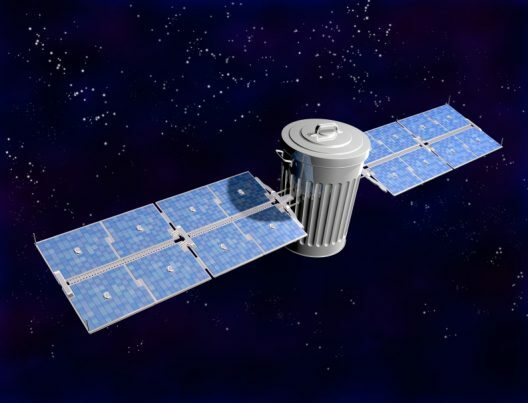 No details of the payload that has been put into orbit have emerged – although it has been widely speculated that the satellite may be the first in a new generation of military geodesy satellites. Geodesy is a branch of science and mathematics concerned with measuring the physical properties of Earth. In a military context, understanding the properties of Earth – and especially its gravitational field, allows missile guidance and targeting systems to be refined for improved accuracy. The late-June launch was the Soyuz-2-1v’s third mission, with a fourth scheduled on July 14 from the Baikonur Cosmodrome in southern Kazakhstan that will carry with it several small satellites. The Soyuz program traditionally has transported supplies and astronauts/cosmonauts to and from the International Space Station in a six-hour journey. If the media wasn’t so obsessed with nothing-burger conspiracy theories about Russian meddling in the U.S. election, Moscow’s intentions concerning this new satellite and its potential military application for long-range missiles might be a worthy and legitimate subject for what used to be called investigative journalism. Apart from aggression in space by hostile actors, Natural News has separately reported about how space junk, or debris/clutter left behind by spent rockets, decommissioned satellites, abandoned equipment, and small parts from 60 years of satellite launches could pose a clear-and-present danger to existing communications satellites.